A Biya regime plot to assassinate Cardinal Christian Tumi has been revealed by a Southern Cameroons Interim Government’s police mission this week. According to a well placed source with strong ties to the Secretary for Homeland Security Hon. John Egyawan, the IG’s intelligence chief in the Fako County, said that some members of the French Cameroun secret service recently deployed to Buea have been operating in a hotel to act in Southern Cameroons in an assassination mission aimed at the top Roman Catholic prelate. The Ambazonian Communications Secretary, Chris Anu is yet to publicly comment on the French Cameroun diabolic harsh ploy against the Retired Bishop of the Archdiocese of Douala who is expected to be part of the AAC III forum in Buea. 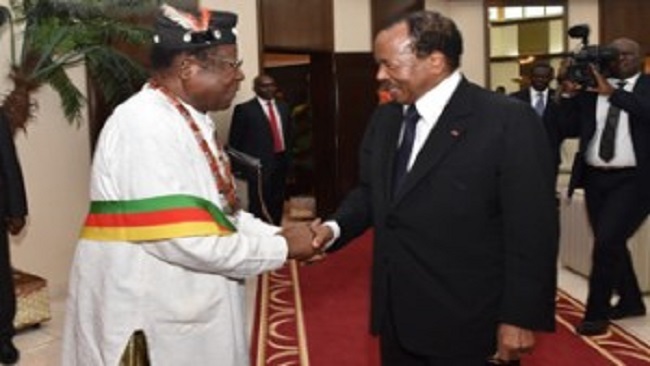 However, a prominent member of the Ambazonian Defense Council who confirmed the news to Cameroon Intelligence Report added that Yaoundé intends to blame the killing of the Cardinal on Southern Cameroons Restoration Forces in the Fako County. The French Cameroun secret service personnel were seen taking pictures of the hall and residence that will host the Cardinal. 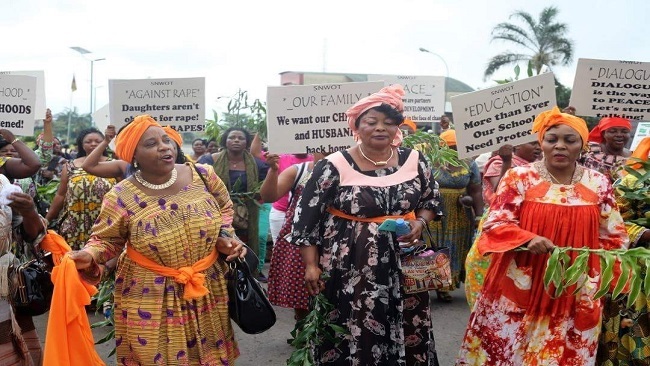 The Interim Government has accused the French Cameroun government of being accountable for several attacks in Southern Cameroons, which has claimed the lives of more than 4000 Southern Cameroonians. Elsewhere, the Cameroon Concord News Group strongly called on Ambazonians to be extremely vigilant and cautions of the activities of vultures of the revolutionary war which have inflicted so much harm and are hampering the efficacious prosecution of the war. Ambazonians must be made to understand that the enemy is French Cameroun and not the IG or the Ambazonia Ground Zero self-defense forces. Your IG needs contributions for the defense of the President His Excellency Sisiku Ayuk Tabe, members of the Interim Government as well as forty-nine other Ambazonians who were abducted from Nigeria and taken to French Cameroon. The IG needs resources for Ambazonia refugees in Nigeria and for other strategic diplomatic, strategic defense operations. The vultures of the revolution have never done anything for Ambazonia refugees, abductees, or possess delicate diplomatic skills. They do not have the ability and maturity to counter the enemy in multiple fronts through the resourceful coordination of the Ambazonia highly skilled and professional Ambazonians and members of the international community away from the self-seeking social frenzy antics of the vultures of the revolution.